Here to make his presence known on our Lyrical Lemonade pages today, we’re pointing the spotlight toward a Virginia-based artist by the name of Alexander Mack and his energetic single, “Brand New”. Filled with the “juice to make the people move and shake their groove thing,” this offering exemplifies the kind of music that you can’t help but dance to, as Mack’s infectious vocal style and funky choice of instrumental run hand-in-hand with the off-the-wall bounce of his personality. 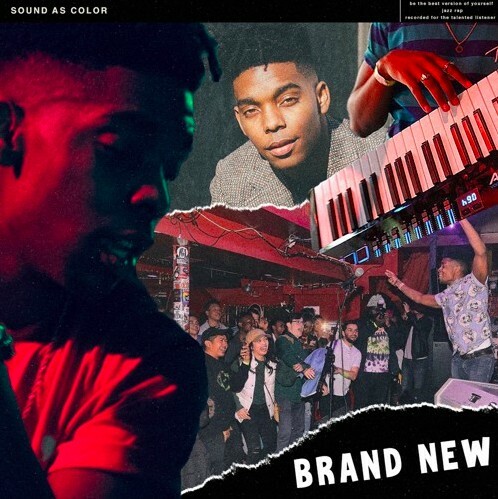 Resulting from this party mix of skills, “Brand New” comes across as the perfect soundtrack to any upcoming functions you may be attending, so if you want to get people off of their feet, be sure to stream this one below. Alexander Mack has a bright future ahead of him.